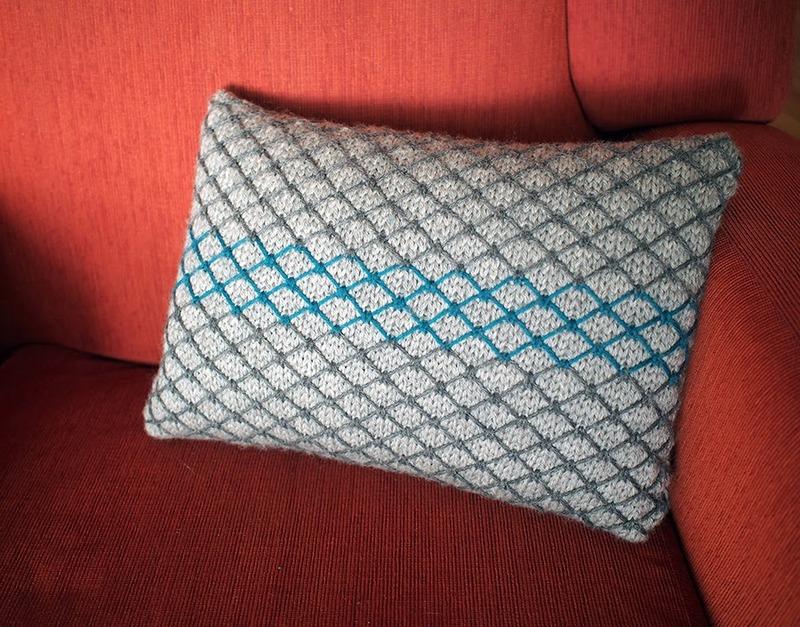 Chainlink Cushion: Free download here! The aim of the contest was to use 1-3 100g balls for a beginner/intermediate pattern based on home decor. I couldn't resist picking 3 different colors... but I knew colorwork might be a bit too advanced. 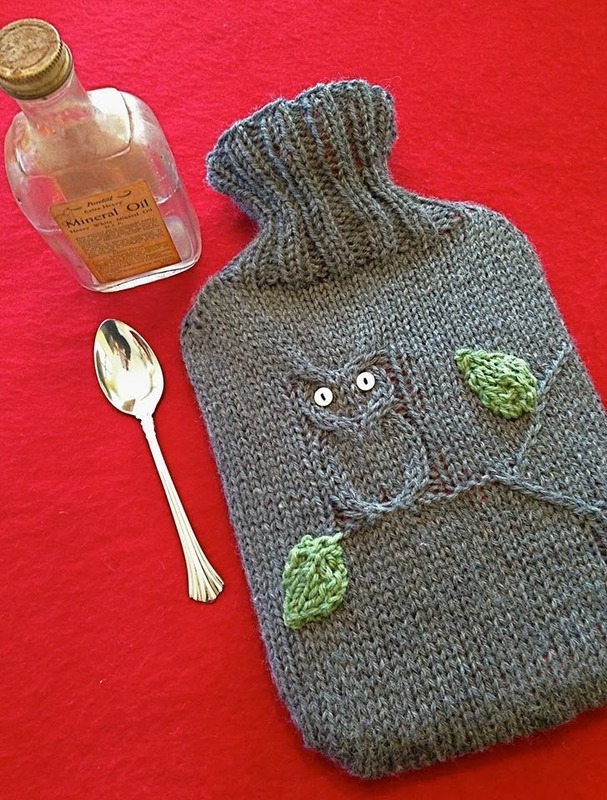 So, I went through the internet looking for "slip-stitch" patterns. 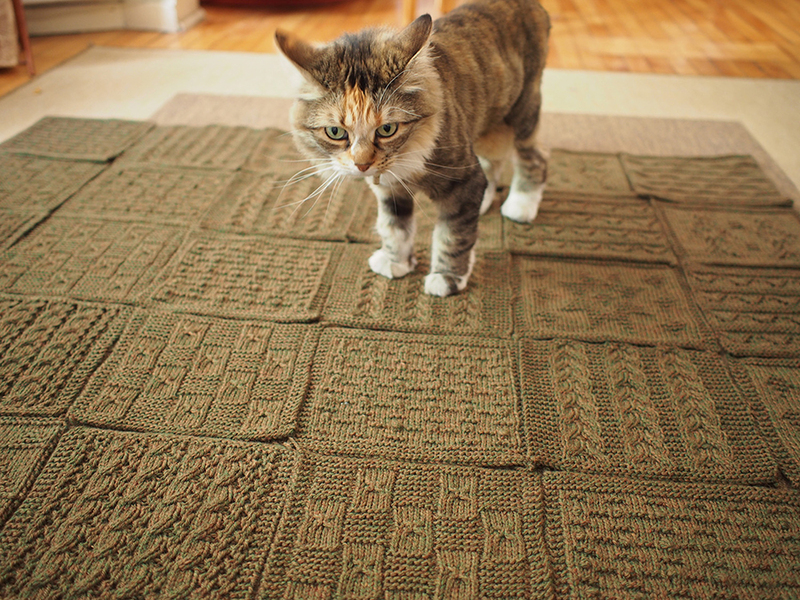 These are magical colorwork patterns that only use one color per row. Wow, there is a real treasure-trove out there. Check out here and here, to start. I picked a simple chainlink fence-y one, which I had seen before and loved. 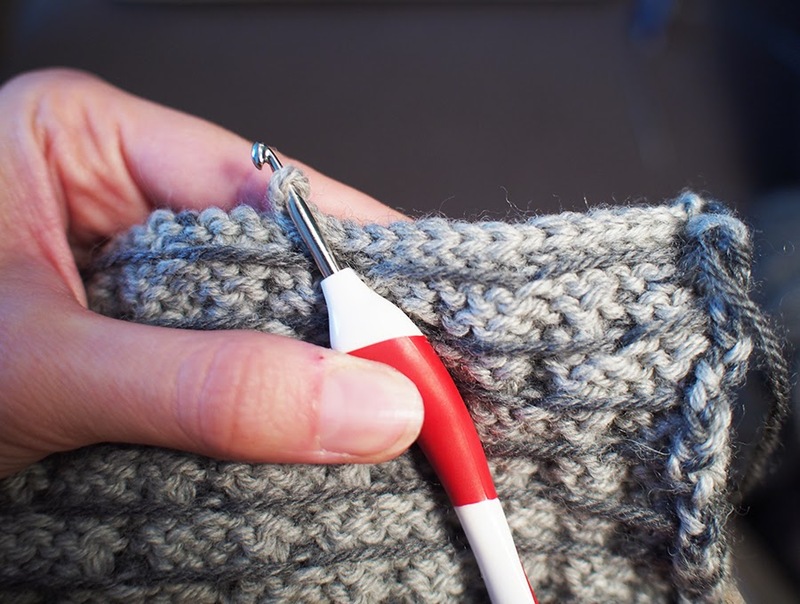 It turns out that this stitch is not only easy to do, but takes about half the time to knit because you slip most of the stitches. Excellent. The pattern is for a small back/neck-support pillow, as I was limited by having only 1 ball of main color yarn. 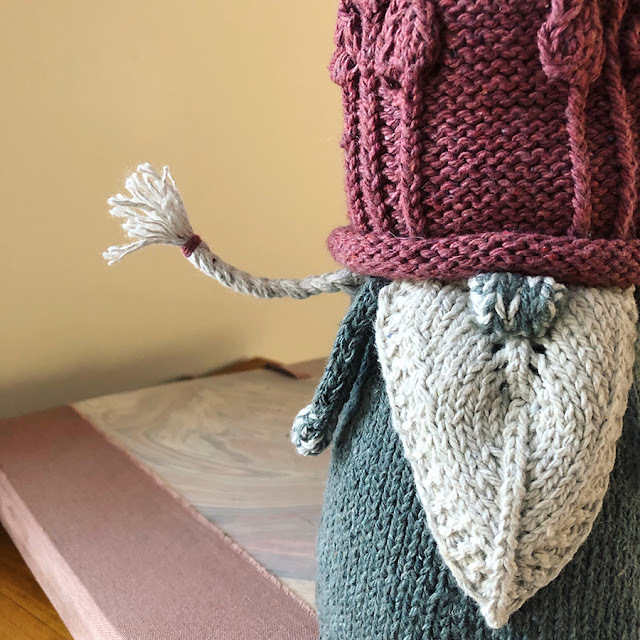 But it's so easy to make larger, just keep knitting to double the height! 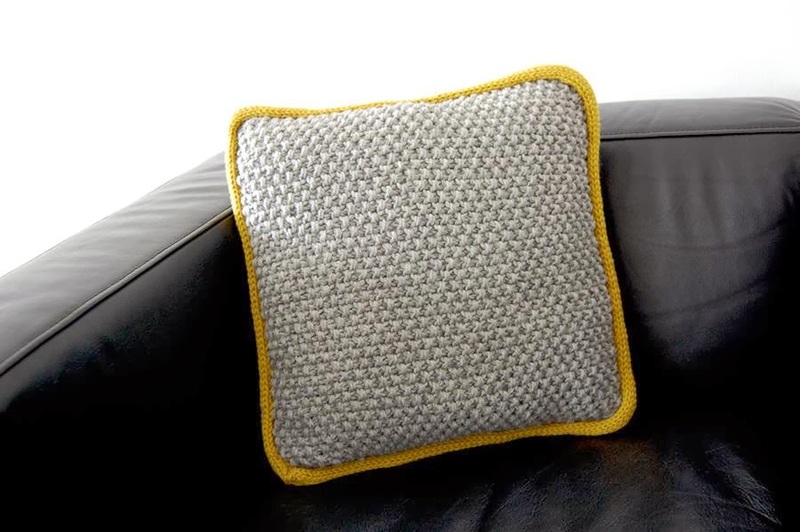 Check out some other Chainlink Cushion projects on Ravelry to see the endless possibilities in color and size. Make sure to match the slip motifs. 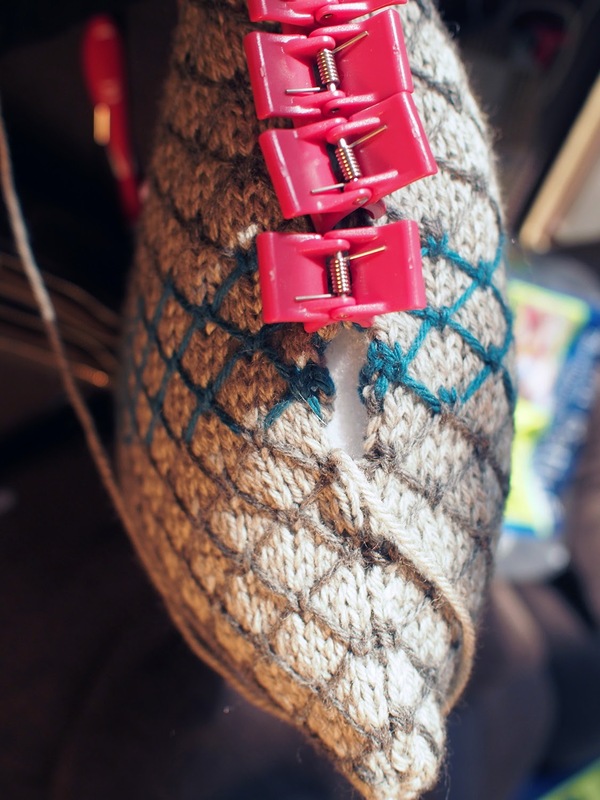 You then stuff and finish off the last short side with mattress stitch. 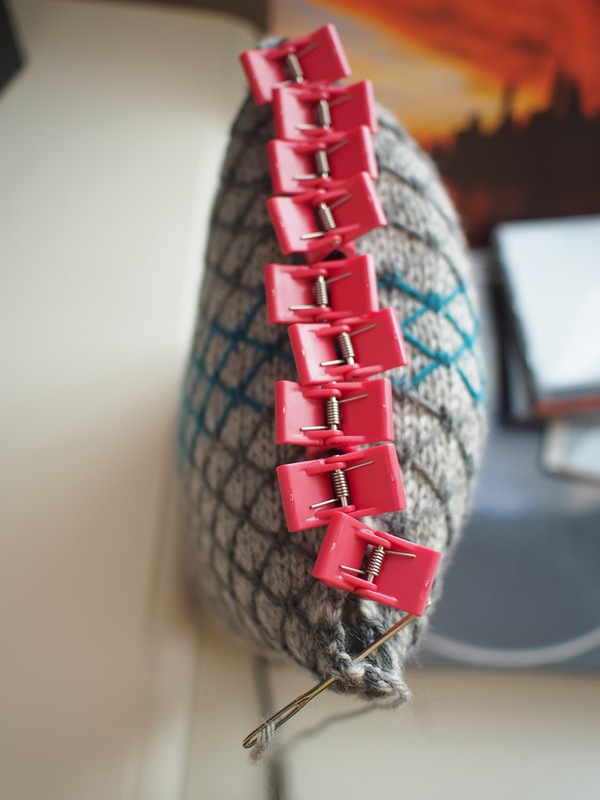 I like using these seam clips to help keep the pillow closed over the stuffing. 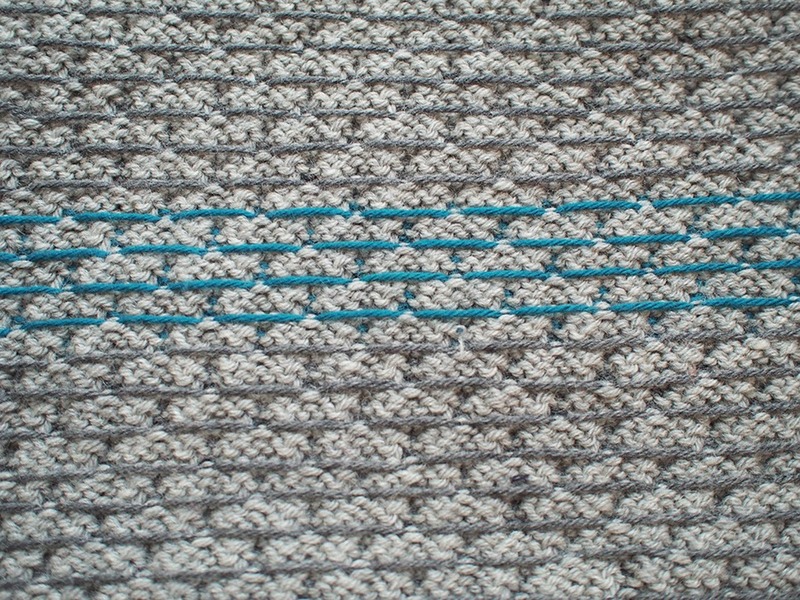 The mattress stitch side looks so neat -- practically invisible. So, in retrospect, I recommend that you sew the two long edges only and do both short sides in mattress stitch. 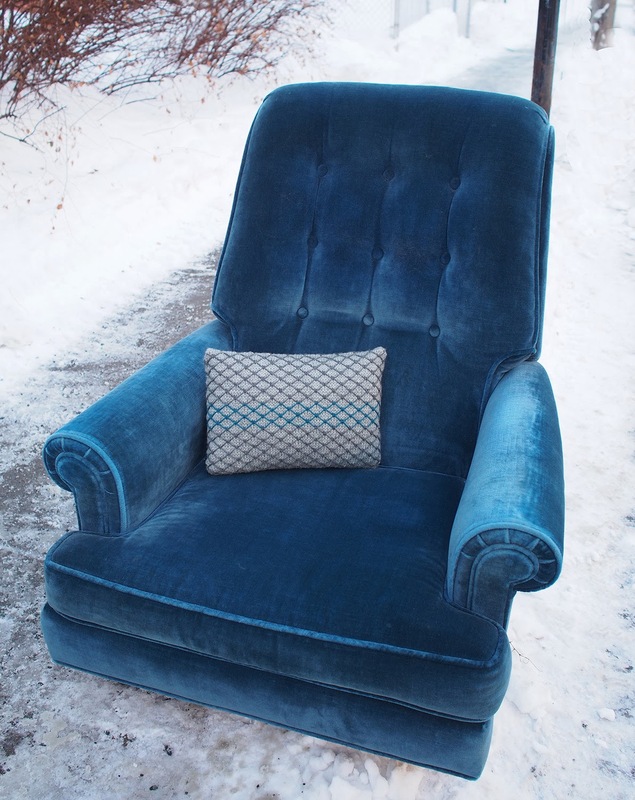 A funny photo session: I had taken tons of pictures in my apartment, but then when I was taking out the garbage I found this amazing blue velvet chair on the walk that matched the stripe! I think I saw the previous owner of the chair watching me while I was photographing amongst the trash. He was probably expecting me to take it away, but no, this chair is not my style. Don't feel bad for the stray, it was gone within an hour -- quick thinking, D., yeah! Pure Wool Worsted is available in 50 shades (no, they're not all gray!). To really get to the Cascade level they would need many more nuances of color in my opinion, but this is a good start. 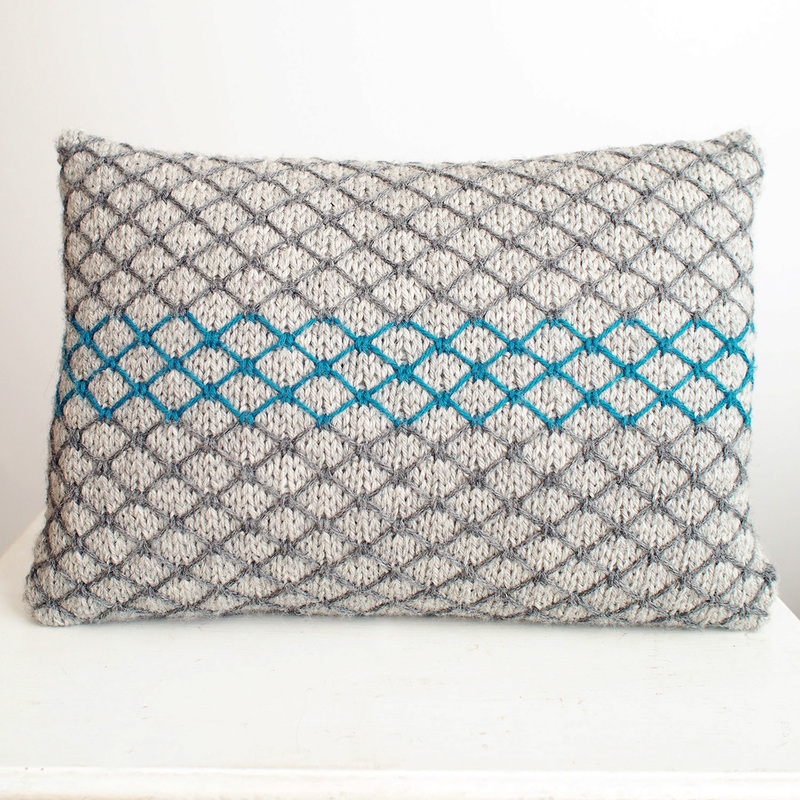 My Chainlink Cushion pattern is in light gray Moonstone, dark gray Granite and Mallard -- all really beautiful colors. I've ordered some Mustard and Rosy, too. 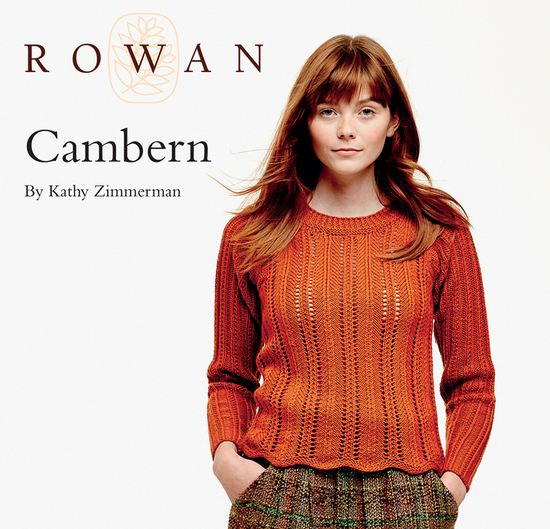 The Rosy is for this fab free pattern, Cambern. Download the free pattern by Kathy Zimmerman, here. 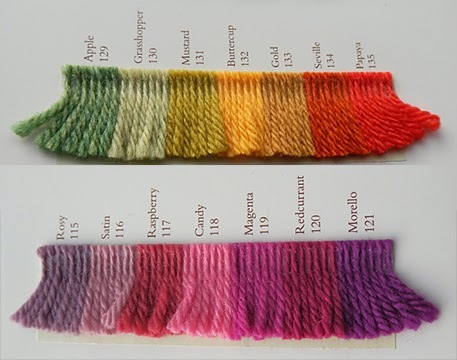 I would say this is a great yarn to knit with. 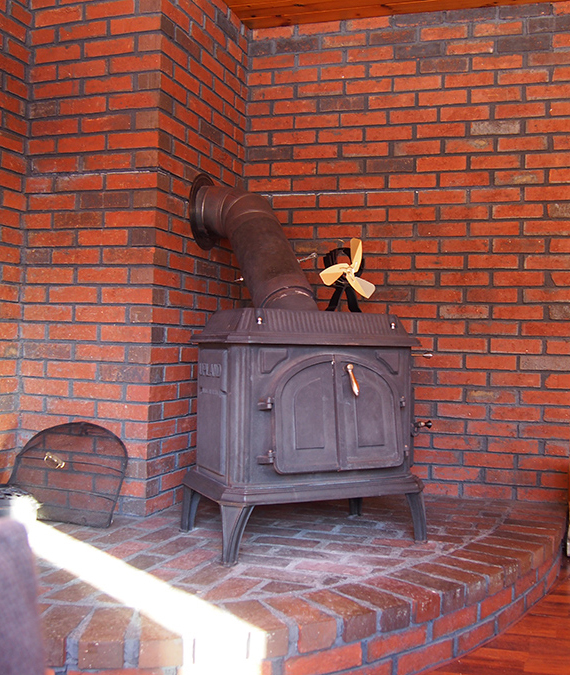 An easy worsted, soft and smooth. I find that some colors are scratchier than others, oddly, but I've been told that I have a sample balls from before large-scale milling. I also see that there will be some pilling to take care of. It's minimal so far, but I have definitely been picking at my pillow, which gets used daily. 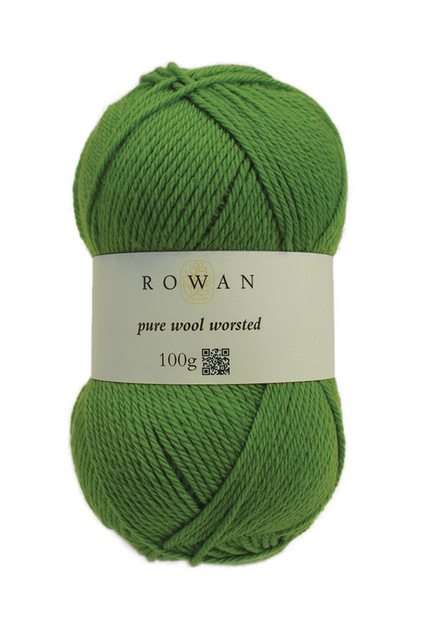 The good news is that I will be getting a big batch of the current PWW from Rowan and I'll really be able to tell you all about it. First there's my prize for being published by Rowan! Do you remember my last one? It was really good. 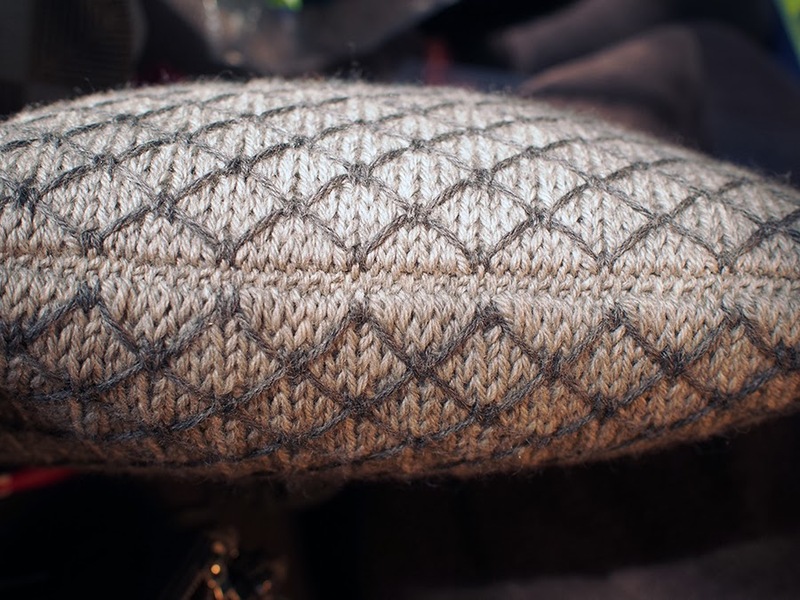 This time I will get 5 balls of Pure Wool Worsted as a consolation prize, but Jen Geigley will get her much deserved whatever-she-wants prize for her winning design, the Moonstone Cushion. 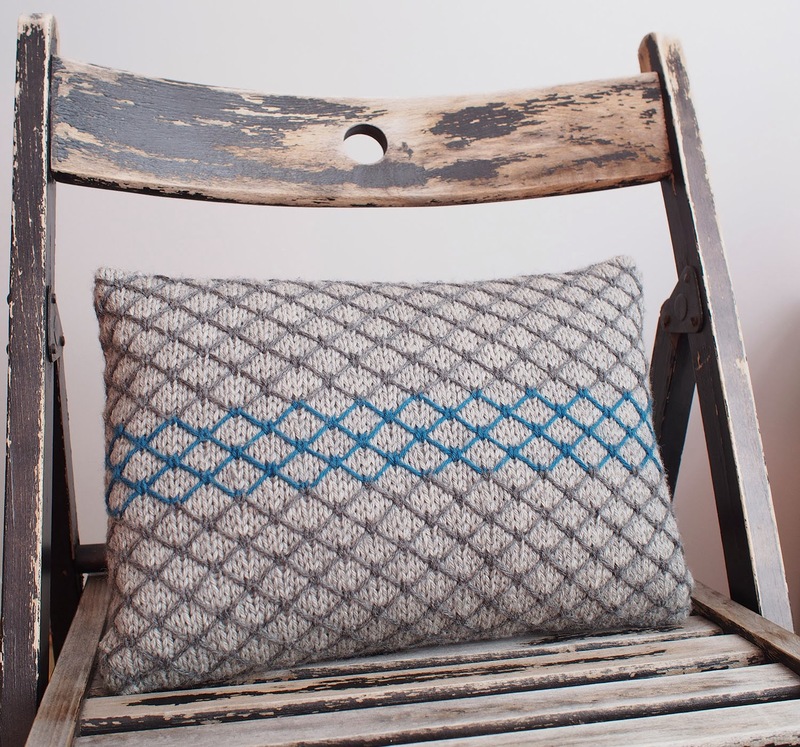 All of our chosen designs are part of the "Pure Wool Worsted Home Decor Online Collection" on the Rowan website. Man that sounds fancy-schmancy. Do check out our cushion parade, lol! 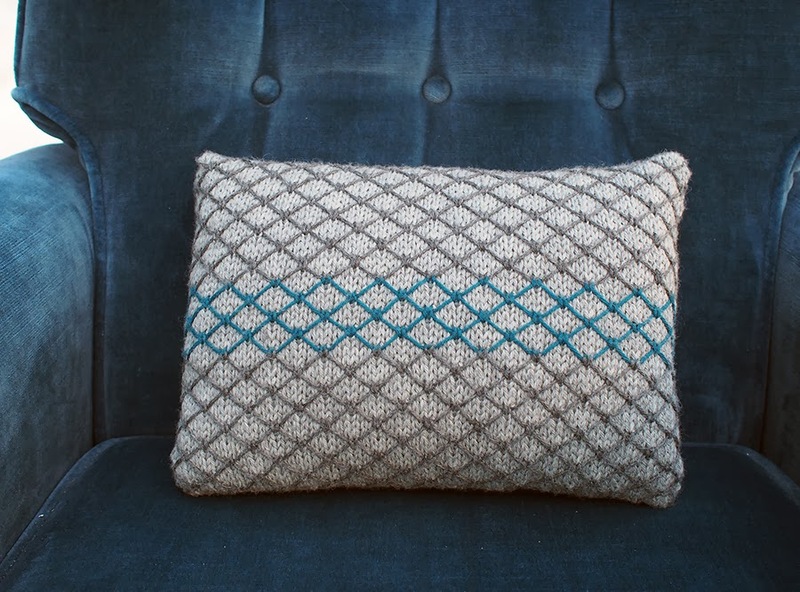 I love your pillow design AND the colors you chose for it - and of course, the stitch pattern is one of my favorites. Barbara Walker calls that stitch pattern "quilted lattice", btw, and I've already used it on two pairs of socks; it works well with variegated yarns. No doubt it will show up on more of my projects in the future. ps: thanks for the idea of using quilt batting as stuffing. No more lumps! Oh THANK YOU, I had been looking for a name for the stitch but my Google searches never got there. The quilt batting was a happy accident, actually. I was looking everywhere for pillow inserts and they were either the wrong size or way too expensive. And then the last store I had waited for didn't have any fiberfill so the quilt batting had to do. Now I won't go back! Now that I've double-checked my Barbara Walker volumes, I see that "quilted lattice" is her name for the version using one yarn throughout, as I like to do with variegated yarns. 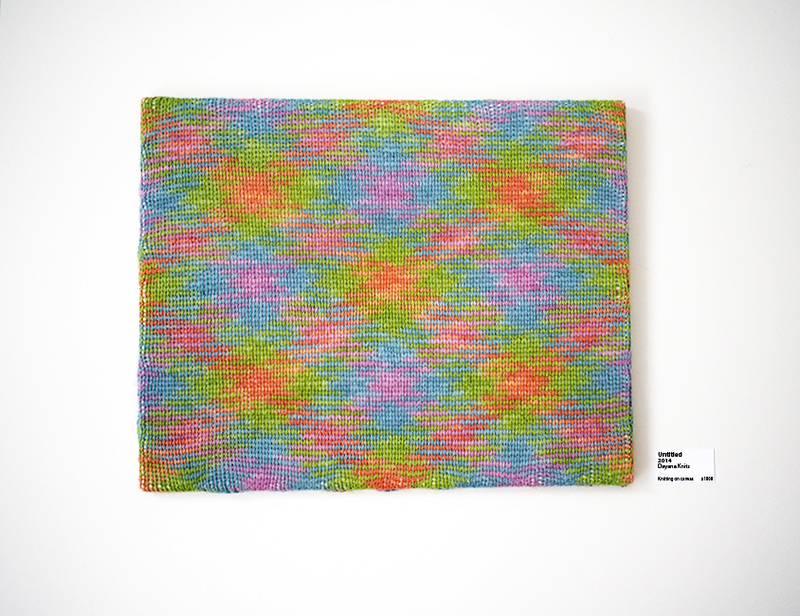 The two-color version that you used for the pillow is "royal quilting" in her nomenclature. 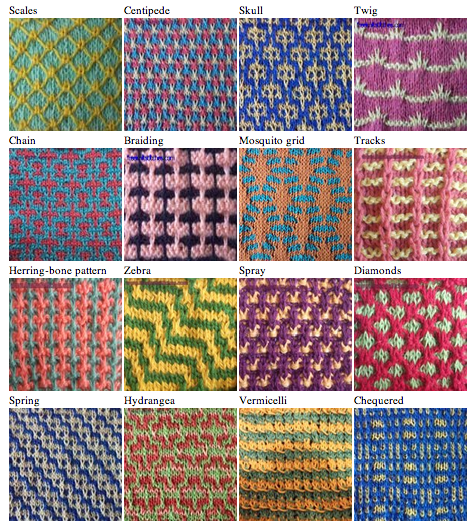 Both stitch patterns are in her first volume, A Treasury of Knitting Patterns; "royal quilting" on page 72 and "quilted lattice" on page 102. I love books of stitch patterns and own three other tomes, besides Walker's first two volumes. So many ideas come just from swatching new (to me) patterns. I pin all the free Rowan patterns, your board is awesome! My friend Kristen just joined up with you (Knitionary), she is great at finding freebies. ;). So glad you could find some more stitches, there are a few I really want to try. It's a fab cushion. I've loved all of the ambassadors' designs - well done all of you. It must be so much fun to see your work published. Also, thanks for those links - I'm strangely drawn to the "mosquito grid" pattern, not that I'm missing mosquitos at ALL in the U.K.
| grew up in Beaconsfield, so I do occasionally miss the snow and a proper winter. Just occasionally mind you. . .
Great design, Dayana. 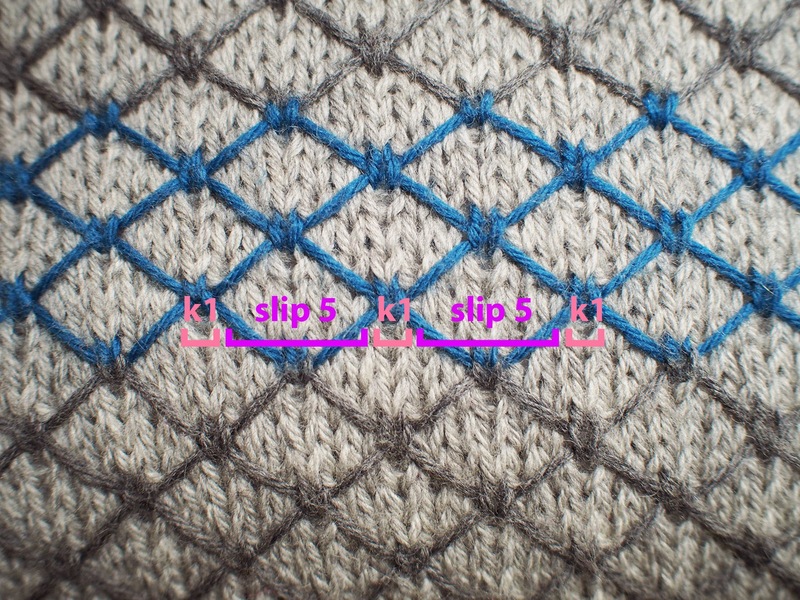 I am a fan of slipped stitch patterns. 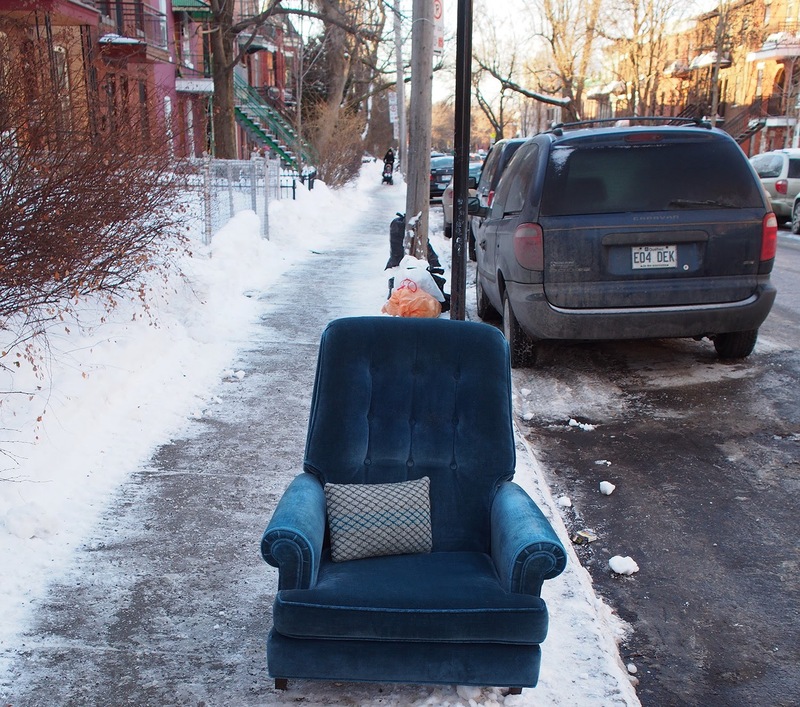 And I find the sudden arrival of the perfect blue chair, in the snow no less, delightfully serendipitous. What an elegant and versatile pattern, Dayana! It is perfect for a modern-style home, like mine. 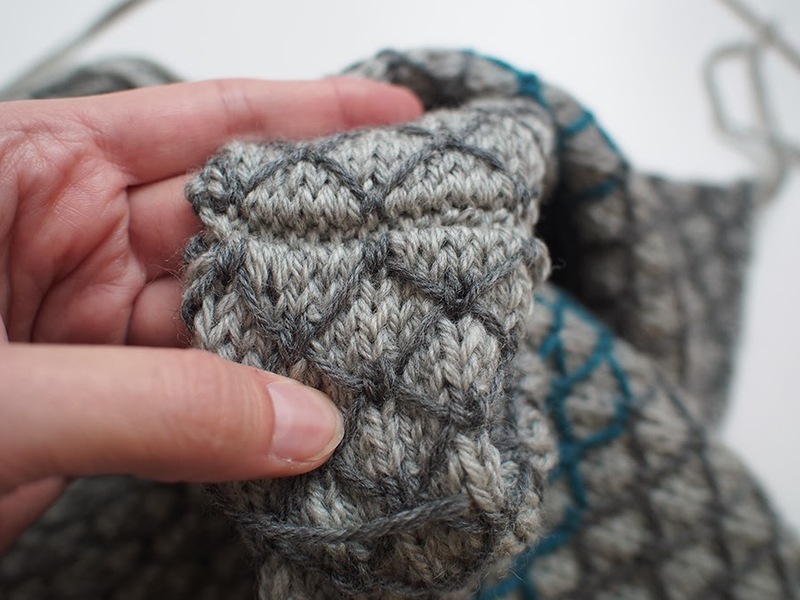 :-) And those slip stitch links are fantastic! I can't wait to check out the other patterns too. 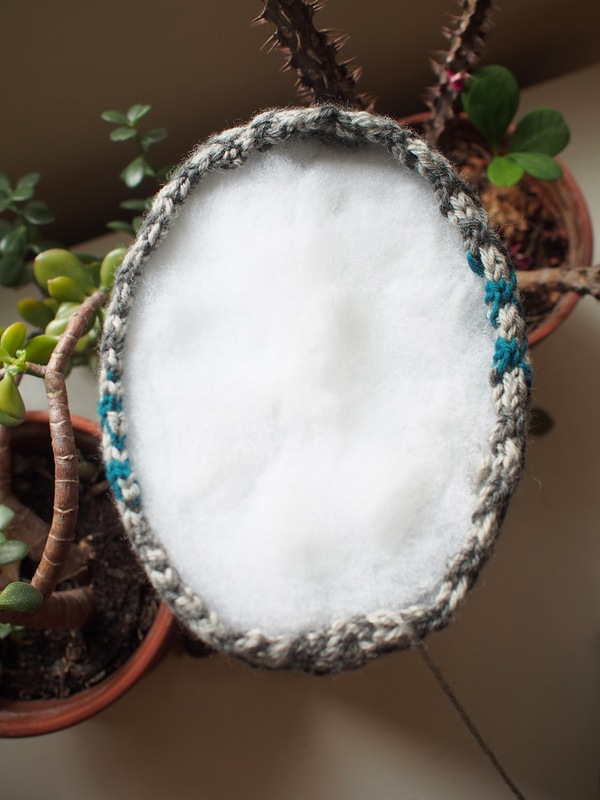 What a good idea to incorporate color using an easier technique that is accessible to most knitters. 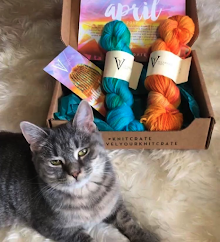 Glad you got some prize yarn out of it. You deserve it, and more! So cute, I particularly like that first pillow!